Hank is thrilled about the "Best Field Trip of the Year"-everyone from Ms. Adolph's class gets to spend the night on an old-fashioned three-mast sailing ship in New York Harbor! And Hank gets even more excited when the ship's captain chooses him to be the first mate. But being first mate is not all it's cracked up to be, especially for a crazy captain who takes his job a little too seriously. 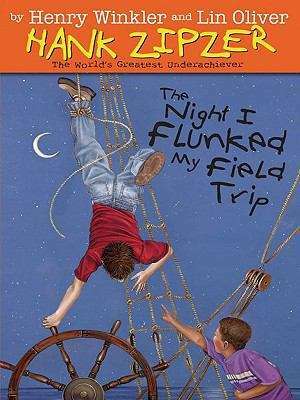 The best field trip of the year is becoming the worst night of Hank's life-how's he going to get out of this one? Fair Dinkum and Lin Oliver Productions, Inc.